A fascinating memoir of a white man who gained access to the private lives of the Blackfeet Indians. 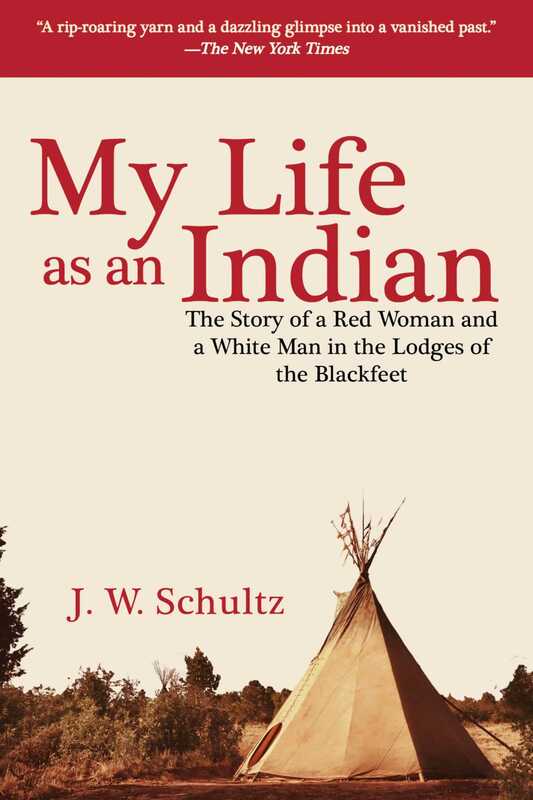 First published in 1907, My Life as an Indian is the memoir of J. W. Schultz’s life as a young white man among the Piegan Blackfeet in the Montana Territory. Inspired by the journals of Lewis and Clark and George Catlin’s depictions of Indian life in his paintings, Schultz journeyed to the American West in search of adventure and became a trapper and trader. However he stumbled into a completely new and inspiring world when he met the Blackfoot tribe, and he soon settled into their lifestyle. During his time with the Blackfeet, Schultz married a Blackfoot woman named Natahki. In this firsthand account of a life and culture that many were not privy to at the time, Schultz paints a stunning portrait of a people he admired, revered, and came to live among. He exposes elements of everyday life in the tribe’s encampments such as child rearing, food preparation, war parties, and the tanning of buffalo hides. He illuminates religious and burial ceremonies, and takes readers on the thrill of buffalo hunts and into the heart of battle against neighboring tribes. Now prefaced with a new introduction, My Life as an Indian continues to hold unsurpassable insight that makes it still relevant today. It is a memorably honest and readable portrayal of one outsider’s view of Native Americans from a time when most still regarded these remarkable people as simple savages.